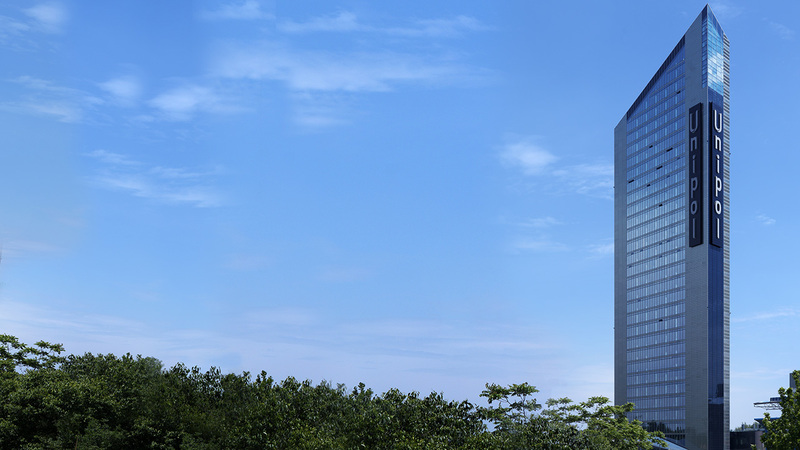 The Unipol Tower is the emergent and leading nucleus of the settlement: the office building is connected to the retail and hotel reception functions, with a well-defined system of routes, public spaces and volumes, served by a network of ground-level and underground car parks. The town planning project sets out a strong layout for links to the road network, as well as to regards adjacent and residential zones, and includes spaces of collective utility by way of functional nodes and services in the public interest. 4. Plant project aimed at maximum energy efficiency. This element allows drastically reduced dispersion during the winter period, with consequent limitation to the use of heating; heat present in the air space may be accumulated for optimal yield of the plants; daylight is exploited to the maximum with consequent energy savings in terms of lighting.